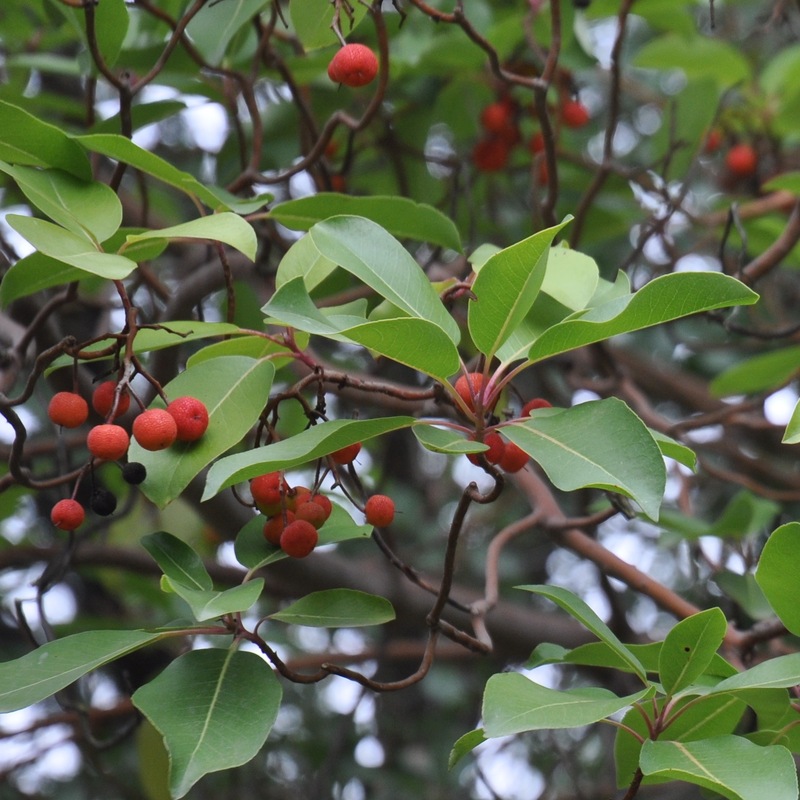 Katlav is the Hebrew name of a striking, red-barked evergreen shrub or small tree native to the Mediterranean region (grows as far north and west as France and Ireland), the Strawberry tree or Arbutus Andrachne. The bark is smooth and sheds during the summer, leaving a pistachio green color, which changes gradually to a beautiful orange brown. The small red berries, tasting a little like tart strawberries, ripen in November. 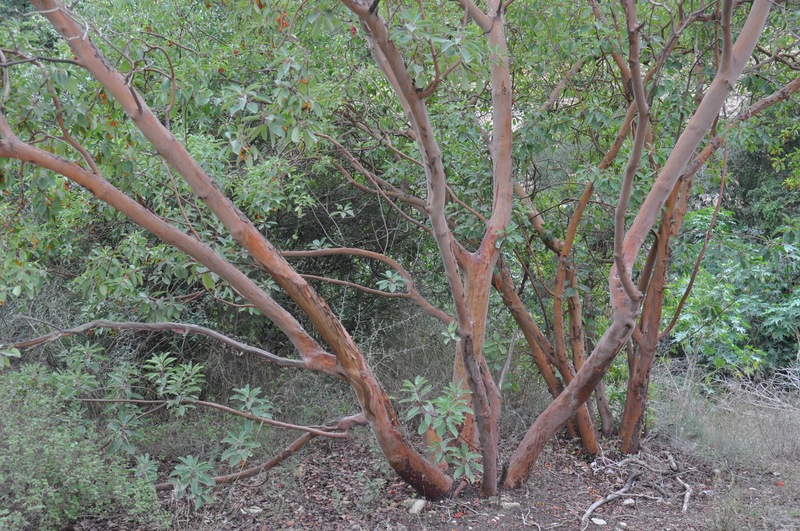 There is another related tree, Arbutus unedo, that also grows in this region. The leaves have a saw-tooth edge and the fruit is bumply, orange-red when ripe. The name ‘unedo’ is explained by the Roman historian, Pliny the Elder, as being derived from unum edo “I eat one”, which seems appropriate as most people find the fruit bland and mealy. One advantage of hiring a local guide is that you get the opportunity to get inside, to be initiated into what the locals do, things that most tourists never experience. 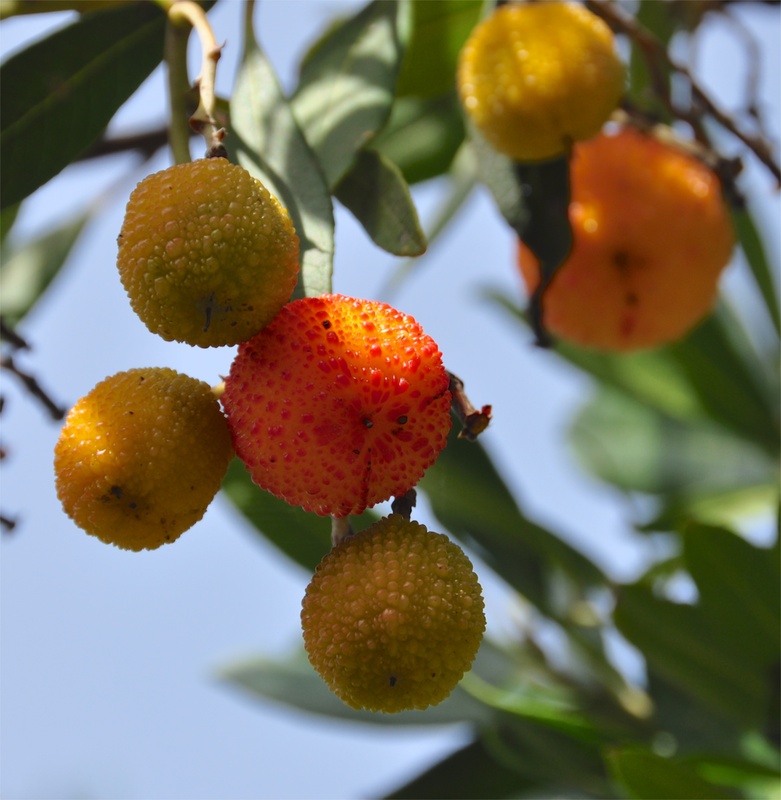 In and around Jerusalem there are some very special hikes and one in particular is Nahal Katlav in the Judean Hills, named for the abundance of strawberry trees growing there. There is also the possibility of hiking to a maayan, a natural spring that fills a pool cut into the rock, that is just the perfect solution to a hot summer day. Before we head out we will pick up some artisan bread, cheese, salads, etc. for a picnic, drive into the hills, hike to our destination and enjoy. These are outings for the whole family. Nahal Katlav is a tributary of the Sorek river which is biblical Hebrew for a choice grapevine. Over the years, this region was known for its grapes, and today there are a number of fine boutique wineries in the Judean-Yoav region. For those interested in wine, these outings can be combined with a visit to a winery in the area. There is even a winery called Katlav. It is very impressive to stand in the presence of an ancient tree. Near Kibbutz Tsuba are 2 very old trees, a 1200 year old olive tree and a 800 year old oak. 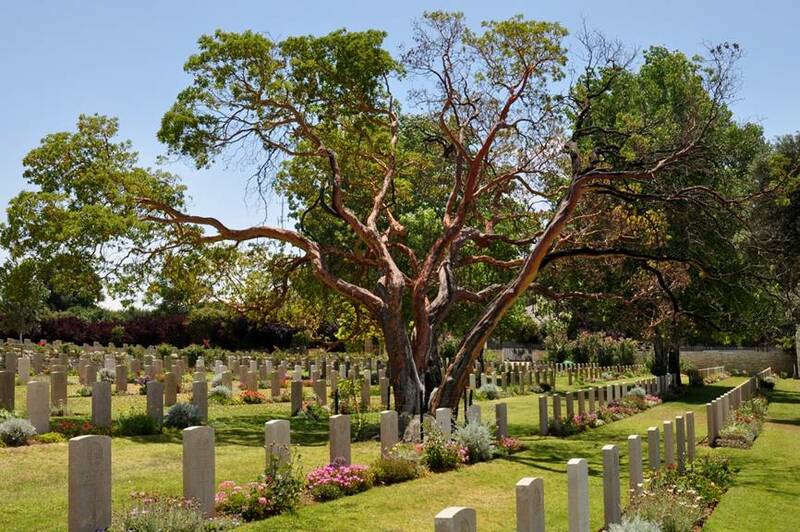 Although I am not aware of such an old strawberry tree there is a magnificent specimen that is about 80 years old at the Jerusalem War Cemetery on Mount Scopus. This entry was posted in Hiking, Nature, Water, Wine and tagged children, family, hike, Hiking, pool, swim, tree, Tzuba, wine tasting on May 24, 2010 by Shmuel Browns.